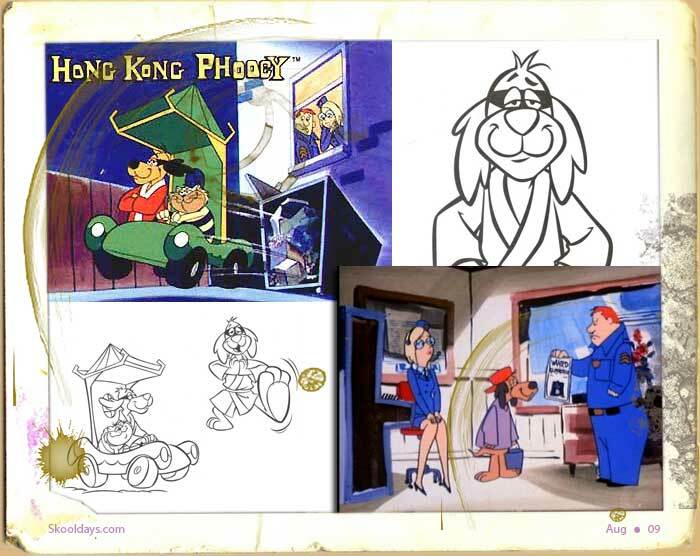 Hong Kong Phooey – “Henriffic” or is it Penriffic! – i think that’s what they would say at the end of the opening credits, certainly he was a a guy who had no power without the brainy cat. Can you believe there was only 16-episodes though there were 2 cartoon per episode which irons out to 31 Hanna-Barbera cartoons. He’s known as a “mild-mannered” police station janitor. Hong Kong Phooey first aired on ABC Saturday morning from September 7, 1974 to September 4, 1976. They added a laugh track to each episode as if a live audience was watching with you. Hong Kong Phooey, is the secret alter ego of Penrod Pooch, or Penry (sometimes mispronounced “Henry”. Penry or Phooey is the only anthropomorphic dog in the entire city, yet no-one ever connects his two identities. This entry was posted in Cartoon, Saturday and tagged 1970 by Skooldays. Bookmark the permalink.